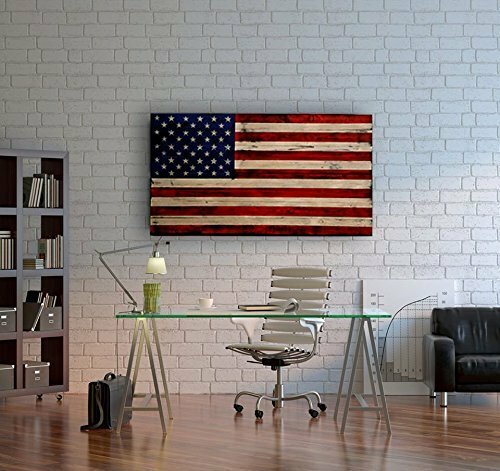 Proudly display your patriotism with this rustic American Flag! This piece is completely made by hand and one of a kind. The flags are all wood, hand painted and distressed to give them a worn, weathered appearance. There are two available sizes; the large flag is 48 inches wide by 26 inches tall and the smaller flag is 24 inches wide by 13 inches tall. Each flag comes ready to hang and will make a wonderful addition to any room in your home! This listing is for the large flag. Shipping Note: Shipping to Alaska and Hawaii will come with additional shipping charges. Please speak with us before your purchase if you live in either of these states. If you have any questions about this product by Rustic Patriot Arts, contact us by completing and submitting the form below. If you are looking for a specif part number, please include it with your message.